I admit it, I've lost my blogging/social media mojo a little, I won't go into why, but I know it's for good reason and I also know it will come back. I can already feel it (the mojo that is) ebbing back in & nagging at me in a nice easy, 'now come on, you love this' kind of way. So when I read about The August Break from one of my favourite blogs, iMake, it felt like just the ticket to coax myself back into the water. The August Break has been running for several years apparently and a visit to Susannah Conway's blog tells you just why it's so popular. It's a relaxed, friendly, understanding and approachable place. She runs courses on blogging and photography and blogs about things like "But sometimes I also need to retreat and remind myself to plug into my own wise counsel. The truth that I see with my eyes. That I feel in my heart. No Facebook updates required." It reminds me somewhat of my last blog post, in fact her poem The Permission Slip very much resonated with me. Anyway the idea of a month's 'allowed' break from proper blogging with suggested topics of photos to take each day is very appealing. I'm quite aware that I have had almost a month off already but who's counting? I've even joined Flickr and the August Break group, I know, get me with all the tech (?!). 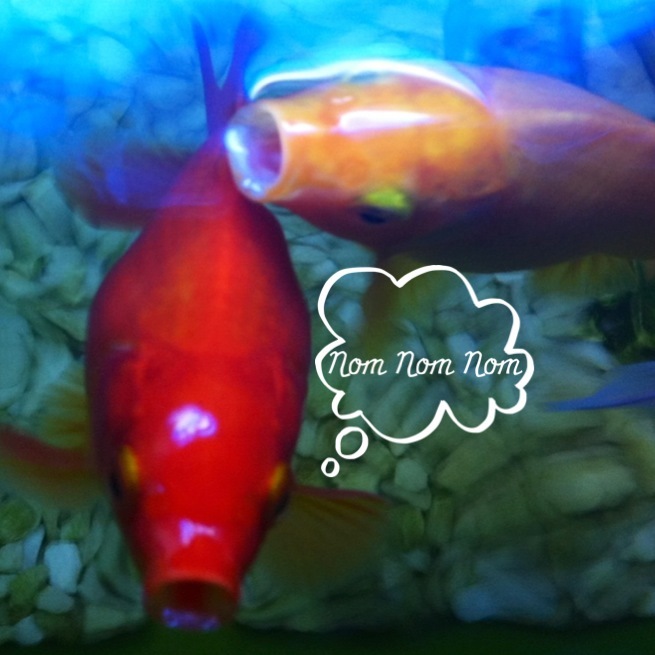 So here is my first pic, my nephew's fish enjoy their fish food breakfast. We are fish-sitting with him being away all August. Now that's an August break of another kind, of the quiet house, thank goodness for some rest from teenage angst variety.